Future School Mongolia is an Information Technology company based in Ulaanbaatar, Mongolia. The company is dedicated to helping all levels of educational institutions implement technology and e-learning into their curriculum to help make lessons more effective. With an arsenal of training, technology, equipment, books, software and consulting services, Future School Mongolia is always looking for the best resources to aid their clients. Recently they have found use in Remark Office OMR to tackle their unique test grading situation. 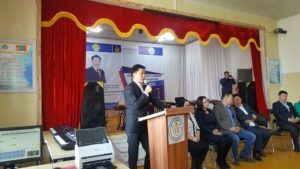 Battulga Zagirjav, CEO of Future School Mongolia, was recently tasked with grading an Olympiad supported by Baatarbileg Yondonperenlei, a Member of Parliament and Chair of the Standing Committee on Social Policy, Education, Culture and Science. 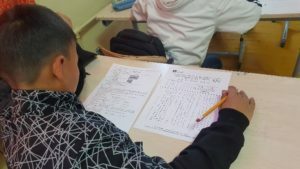 The test focused on social science and was completed by over 800 students from across the Arkhangai Province. With a limited time frame and high expectations for the accuracy and speed of grading, he turned to Remark Office OMR. Not only did he utilize the grading and evaluation capabilities of Remark Office OMR, but Battulga Zagirjav also allowed all in attendance to watch the grading happen in real time. While he fed the completed tests through an Epson® scanner, he connected his computer to a projector. Competitors and attendees alike watched as Remark Office OMR scanned and analyzed 100 tests every 5 minutes. Zagirjav admitted, “I was worried at the beginning but everything went perfectly. Students, teachers, organizers, guests… everybody was very impressed with the fast and accurate reports and analysis of the software.” In a matter of minutes, the organizers were able to process all of the responses and identify a group of 9 award recipients from all of the competitors.